The Royal Pavilion, the Dome Theatre, the Old Steine and the new Jubilee Library surround the Brighton Museum & Art Gallery. With so many of Brighton’s best bits so close, it has a lot to live up to. 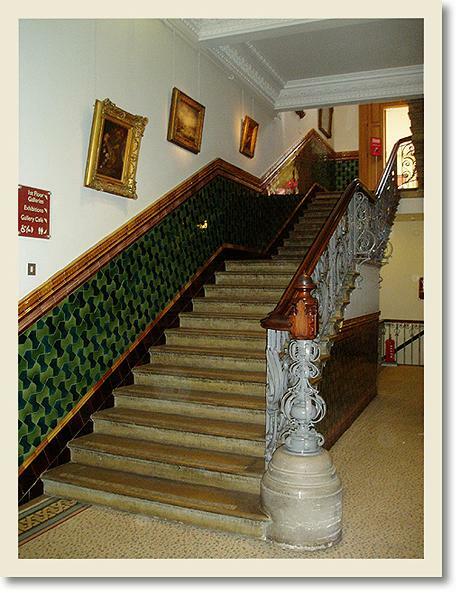 But, with seven Council-run museums in Brighton & Hove, does it receive the attention that it deserves? What is now the Dome Theatre was built in 1803-8 by William Porden as the stables for the Prince of Wales’ Marine Pavilion. 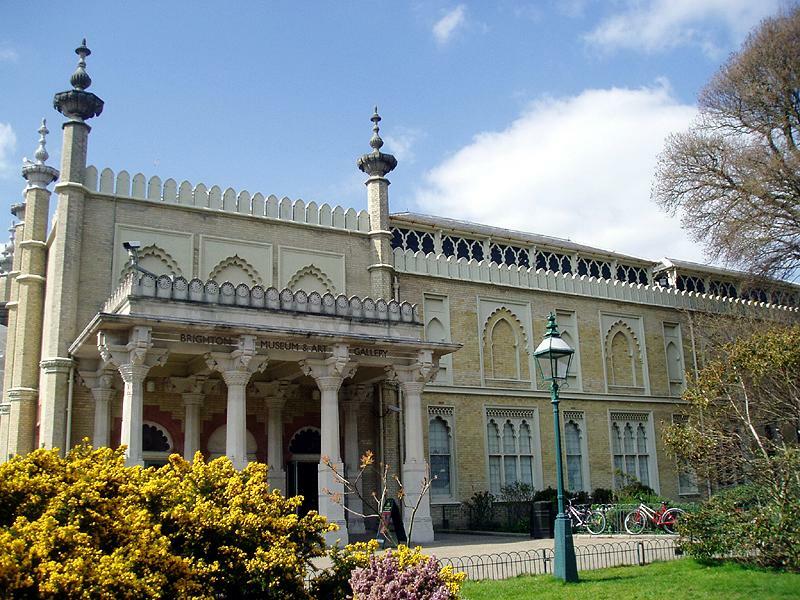 When the Prince became Prince Regent, he employed the eminent architect, John Nash, to transform his fairly normal-looking Marine Pavilion into the Royal Pavilion – one of the most famous buildings in Europe. Queen Victoria, however, did not share her uncle’s love of Brighton and in 1850 the Pavilion was sold to the town. In about 1860, a museum, art gallery and library were established there but when the collection grew too large, it was moved into the former stables, coach houses and servants’ quarters connected to the Dome which had been converted by borough surveyor Philip Lockwood. Like the Royal Pavilion next door, the Jaipur Gate in Hove, the Chattri Memorial to the north of Patcham and the Hanbury Club in Kemp Town, the Museum & Art Gallery has been strongly influenced by Indian architecture. Its yellow bricks, intricate stonework and octagonal towers easily explain its Grade II* Listed status. Fortunately, the fabric of the building inside is just as impressive as the exterior with grand staircases, mosaic floors and a cavernous main hall. Thankfully, the transfer of books to the Jubilee Library has freed up even more space for exhibits. I particularly enjoyed the paintings of some of Brighton’s greats including Dr Richard Russell, the seawater doctor, and Sake Dene Mahomed, the ‘Shampooing Surgeon’ to Kings George IV (formerly Prince Regent) and William IV. I should mention that the Willett collection of pottery is of national significance though I spent most of my time looking at the intricate models of the piers and Old Steine. The close-up example of an Amon Henry Wilds ‘Ammonite’ capital is well worth a look also. Of the seven municipal museums of Brighton & Hove, I have also recently visited the Royal Pavilion, Hove Museum & Art Gallery, the Booth Museum and Foredown Tower. But, before I can pick a winner, I still need to visit Preston Manor and Blatchington Windmill. See www.brighton.virtualmuseum.info for details.